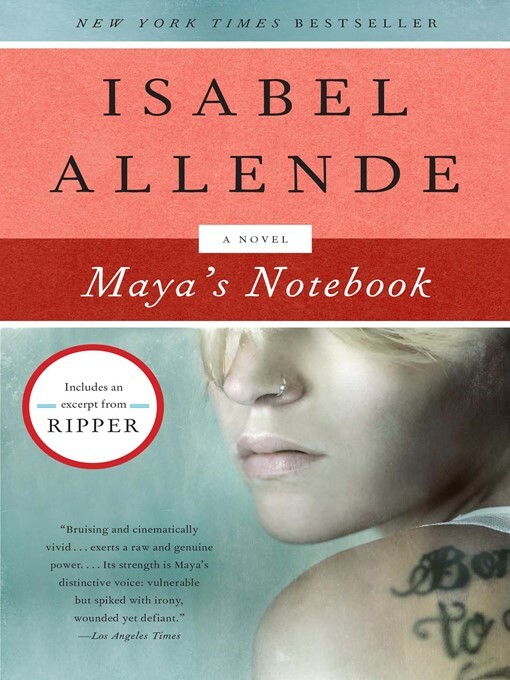 Maya's Notebook is a startling novel of suspense from New York Times bestselling author Isabel Allende. When Popo dies, Maya goes off the rails. Along with a circle of girlfriends known as "the vampires," she turns to drugs, alcohol, and petty crime—a downward spiral that eventually leads to Las Vegas and a dangerous underworld, with Maya caught between warring forces: a gang of assassins, the police, the FBI, and Interpol. Her one chance for survival is Nini, who helps her escape to a remote island off the coast of Chile. In the care of her grandmother's old friend, Manuel Arias, and surrounded by strange new acquaintances, Maya begins to record her story in her notebook, as she tries to make sense of her past and unravel the mysteries of her family and her own life.